Festivals of thanks and the harvest have been, and are, celebrated the world over, and have been for hundreds of years. 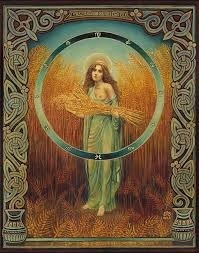 The harvest has always been associated with the Goddess of Earth and Fertility. She is and always will be the Source of all Creation. 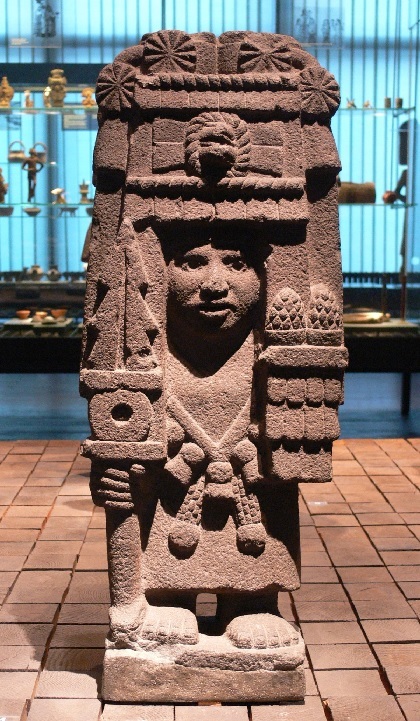 The Aztec Goddess of Maize (corn), she is dressed in flowers, carrying ripened ears of corn and a shield in the form of the sun. She is sometimes shown with a corncob engraved with the words, “forgiving strength”. She is the Goddess representing the mother aspect of the corn, while Xilonen is the Goddess representing the maiden aspect. Demeter was the Greek Goddess of the Harvest, who was the source of the Earth’s growth. When Persephone, her daughter, disappears and cannot be found, Demeter starts to look for her. As she searches in vain, her energy no longer feeds the earth; plants start to wilt and change color, heralding the first Autumn. When Persephone returned and Demeter reunited with her beloved daughter, Spring returned and the Earth was reborn. She is most often portrayed with sheaves of grain. 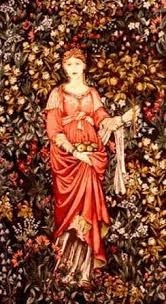 As the Roman agricultural Goddess, Pomona cultivated and protected Her fruit trees and gardens. She was celebrated in a November 1st festival with nuts and fruits. Her sacred grove was known as Pomonal. 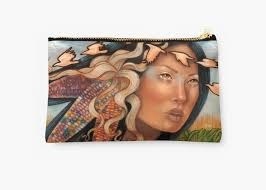 Selu and Corn Mother are just two of the many names used by Native Americans to call their Harvest Goddess. 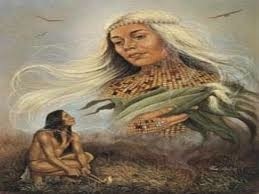 Selu is the Cherokee First Woman and Corn Mother. To feed her people, she planted her heart within the Earth, and from this, corn grew. The name of Corn Mother is given to the Goddess of the Arikara Tribe. Born of the corn, She was the protector of Her people. As the spirit of the corn, She taught the tribe to farm. This Roman Goddess is the growth of the Earth. She assured that the crops were successful and harvested in abundance. 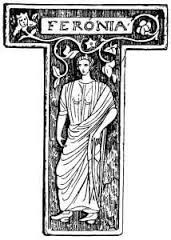 She was often paried with Tellus, as the Earth Herself. Her festival was held in August at the harvest. This Goddess lived a solitary life in the orchards and fields of Italy. 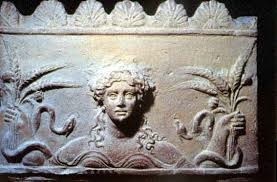 Feronia was a fire Goddess, watching over the fires deep within the Earth that helped the crops to grow and flourish. Her festival was also held in November when the Earth’s first fruits and plants were most abundant. May you all be blessed with an abundance of love, joy and happiness during this month of thanks and gratitude.